Spelling bees – People love ’em. I have no idea why. I suspect it involves a pathological masochism which compels some adults to convince themselves it’s fun to watch grade schoolers spell words that they themselves could never have spelled at that age (and, in all likelihood, still can’t). In any case, yesterday at the annual orthographical super bowl, the Scripps National Spelling Bee, thirteen year old Arvind Mahankali took top honors (and a nice chunk of change) for correctly spelling “Knaidel“, which is Yiddish for “matzo ball”. Here’s Arvind, snatching victory from the jaws of defeat, in an action packed, heart-pounding, showdown. First, let me say to Arvind – good for you! Thirteen years old, and – in front of a national audience, no less – you spelled “knaidel” like a damn boss. You’re a champion, plain and simple, and we should give you the credit you deserves for being a composed, and graceful winner. As soon as the moderator read “knaidel” as last night’s final world, some of you were so excited you flipped. directly. out. 1) I get that we like when Yiddish pops up unexpectedly – it’s a nice reminder of [Jewish Culture / “The Old World” / Your Grandparents / Watching ‘Fiddler on the Roof’ In 6th Grade] (take your pick). But let’s not forget that, in 2013, Yiddish has been working its way into mainstream vocabulary for over a century now – In movies, on TV, on deli menus, and yes, in everyday conversation. Can we really pretend as if hearing a Yiddish word every once in a while is newsworthy anymore? Do the French flip out every time someone says “baguettes” on TV? 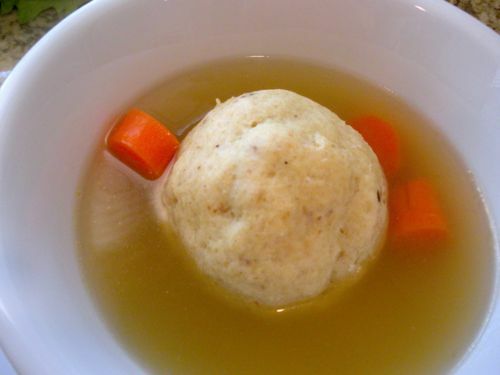 2) Yes, Knaidel is Yiddish, but really it’s just the Yiddish-ized word for the German “knödel“. What’s knödel? It’s what the Germans called a knaidel before Yiddish existed. Does this mean we should expect an unavoidable wave of Mazal Tov-centric op-eds? Who knows. Maybe someone’s gotta spell it out, first. I think we already got the wave of Mazel Tov op-eds when “I’ve Got A Feeling” first dropped. Pandering to the bar mitzvah crowd earned them millions, though, so you can’t fault the record labels/recording artists for trying. Yes, it’s a biggie. Yiddish hardly gets any recognition these days. There are plenty of people speaking it and learning it. Check out the National Yiddish Book Center and YIVO. Yiddish rocks. It is the language of love IN MY HOUSE! Yes, and I’m pretty sure “kootchie” is a Yiddish word too.